"We’ve found Brain Technologies’ concepts and tools to be timelessly relevant for all learners regardless of nationality, age or professional interest." 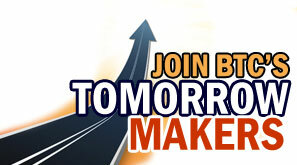 "I've been looking for a way to understand what really works in times like these, and I've found an answer in LEAP!... To be blunt, this book is like nothing I've ever read"
nothing else we've ever seen." "I have a hard time putting into words the tremendous joy and satisfaction I am experiencing in my life right now as a direct result of your work." "I use all the dolphin books every day to make new distinctions and provide levels of clarity that were missing in my life." "Strategy of the Dolphin has been an incredibly influential book in my career." "Of all the contributions I’ve used to generate effective results, the principles of Strategy of the Dolphin were most helpful and consistently ahead of their time!" "I just wanted to thank you and let you know that there is somewhere in Africa, a 56-year old Frenchman who is grateful to you for this gift through your book." "The best application of post-New Age strategies to management I’ve ever seen." "Dudley Lynch is a toolmaker for the brain." "Dudley altered my world view in such a powerful way, opening new and powerful leadership possibilities." "I am a huge fan of Clare Graves' work, and I have always found your interpretations and distillations of his core message the most illuminating, useful and accessible 'out there.'" "I bought many copies of your book for my best friends and my best enemies." "Your seminars are among the finest I have ever experienced—always a powerful learning experience." 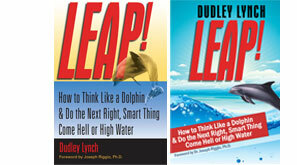 "If you haven't read any of Dudley's books, you've missed out on top-notch material for change work." "Dudley's LEAP! is an ambitious and original work." reading Leap! is like coming home!"